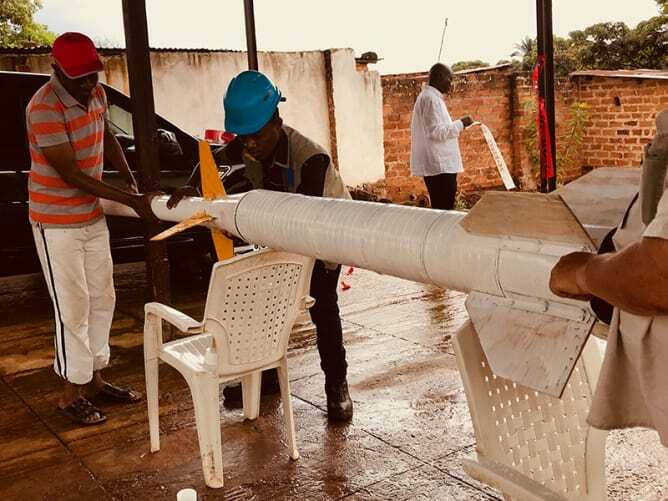 For the past ten years, engineer Jean-Patrice Keka and his team have been designing and launching rockets with scant resources in Kinshasa, the capital of the Democratic Republic of Congo. Code name: Troposphère. Impressed by their applied scientific research capabilities, we want to help them launch the Troposphère 6 rocket by next autumn. Troposphère 6 is a 50 feet three-stage rocket. It will send a satellite called «Njiwa» to take pictures of the Earthn from an altitude of 200 km (120 mi). These images will be broadcast live back to the control centre. The Troposphère project is technically feasible and highly symbolic. It brings hope and pride to the Congolese and stimulates the training of engineers in a country in great need. 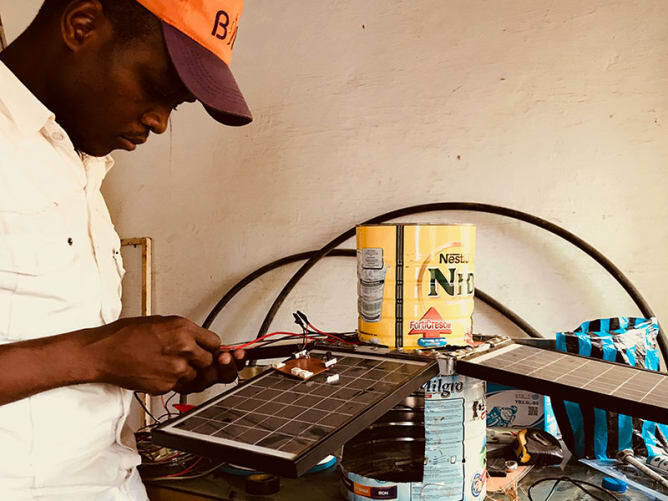 In the longer term, Keka Aerospace aims to be able to send satellites into space, and perhaps, one day, a first African astronaut. 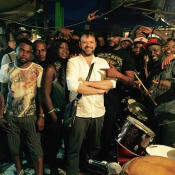 We are a small team of filmmakers from Lausanne in Switzerland who met Jean-Patrice Keka in the DRC, while making a documentary about his work. 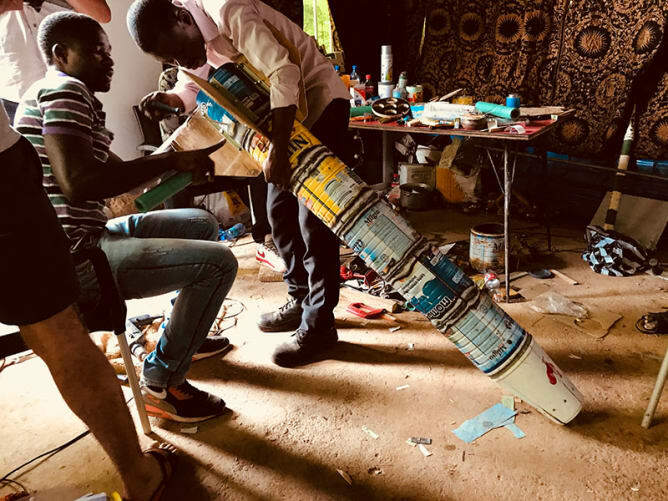 Despite the well-known problems experienced with their previous Troposphère 5 rocket, we discovered talented engineers, working alongside electricians, computer scientists and mechanics to devise inventive solutions from limited resources. 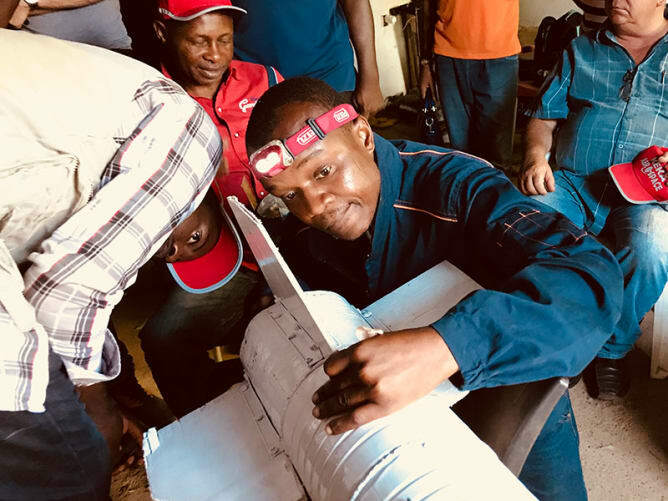 In 2015, we watched Keka’s team salvage a wrecked ship that had blocked a dock in Kinshasa for 23 years - Russian and Norwegian salvage teams had previously failed at this task, stymied by the strong currents in the Congo River. The obstacle to the Troposphère 6 project is now financial. 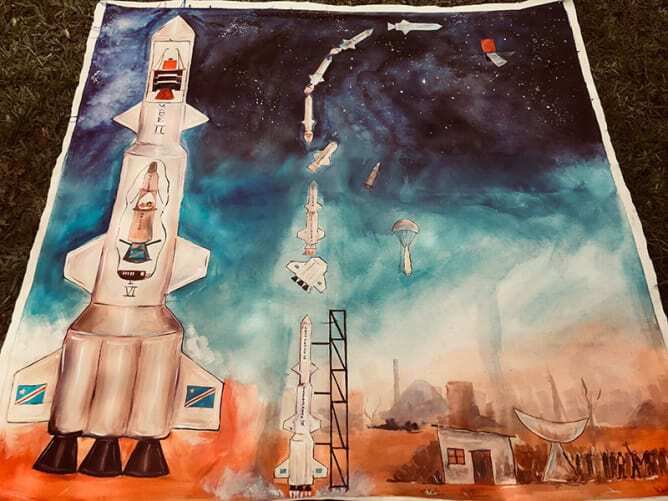 The funds we wish to raise will mainly be used to acquire expensive materials and to rent precision equipment to construct the fuselage of the rocket. They will also be used to purchase fuel. They will be entirely devoted to the Troposphère programme. 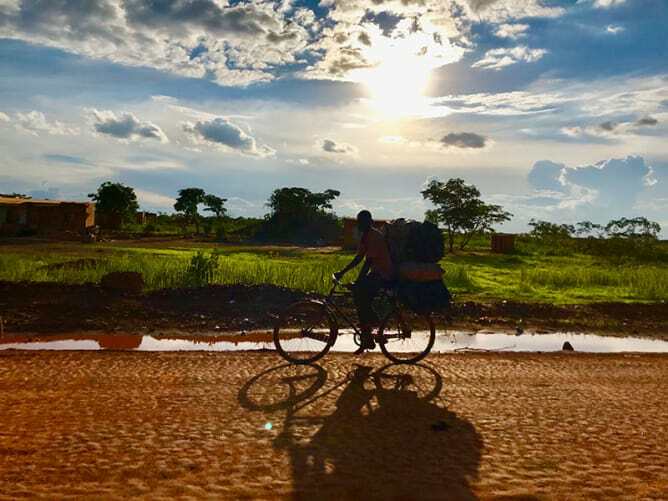 Due to the difficulties with Internet access, crowd funding is effectively impossible to set up from the DRC. That is why we administer it - and the management of donations themselves - from Switzerland, through a non-profit association established under Swiss law and dedicated to this launch and possible future projects. 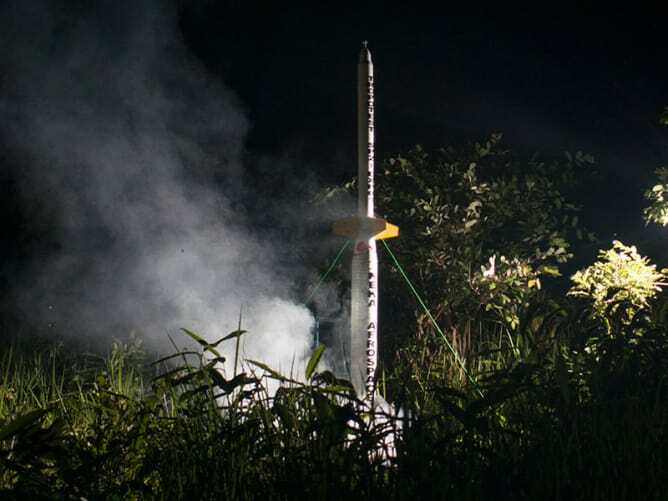 Is a space programme in Congo really necessary? You may think that a country such as the Democratic Republic of Congo has other priorities than a space programme. But we also need to project ourselves into the future. To show the young people of our country that it is possible to dream big projects, to put all our will into them. With each launch, hundreds of young Congolese choose to study science, and this know-how, this faith in the future is very important for our country. How is it possible to build a rocket for 50’000 Swiss francs (37’000£/50’000$) ? Our research focuses on the use of the resources available in our country. We move step by step, independently. We have developed a unique speciality in the use of recycled materials. 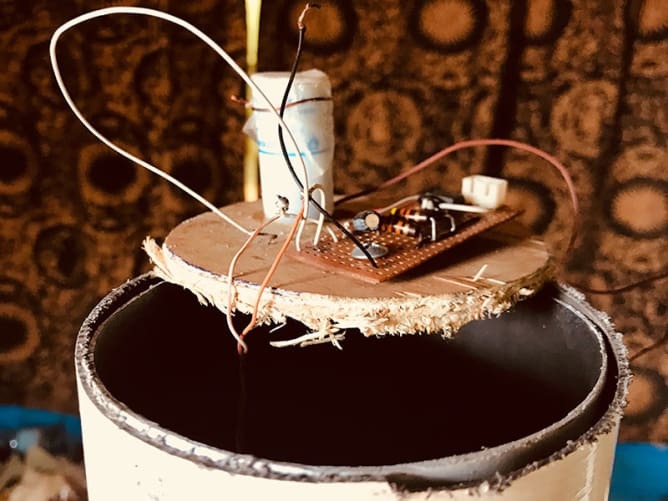 The fuselages of the first rockets and the current test rockets are made of powdered milk tins, the electronic components are recovered from devices found in dumps; our rocket fuel is more or less handmade. Our relatively small team consists of about twenty people. We are moving step by step, without government assistance. But you don’t remember Troposphère 4, which reached an altitude of 50’000 feet. Each rocket is a prototype and if we look at the history of the conquest of space, we do not have a monopoly on technical failure! One of the seven engines of Troposphère 5 failed due to damage sustained during transport to the firing point. We learned a great deal from this experience. It is precisely this challenge (to make high technology with recycled equipment) that makes the project so interesting. With this experiment we can improve our engineering knowledge in many other fields, like medicine, agriculture, communications, energy supplies. 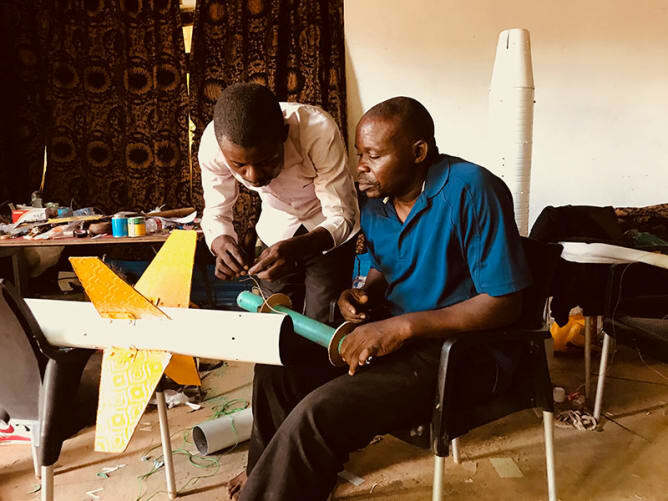 It will finance certain parts of the rocket body requiring precision machines to make that we can only find in relatively expensive workshops here in Congo. We also need to invest in fairly expensive materials, notably to manufacture the rocket’s propellant (fuel). There is also much work to do in order to prepare the launch site. Finally, the funds will pay our electricians, mechanics and computer scientists. When will Troposphère 6 be able to take off? 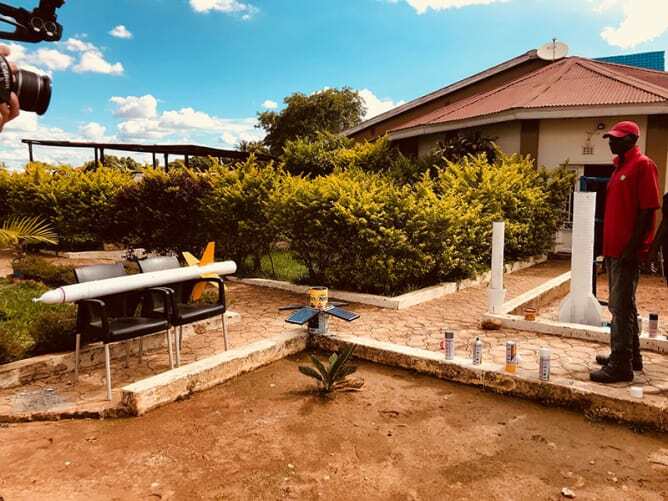 Today the design of the rocket is complete, the various scientific elements are being manufactured (Njiwa satellite, Mpongo ship, the various engines, cameras, etc.). If the crowdfunding is successful, the launch should take place in a range between September 2019 and spring 2020. Your name on the rocket ! A piece of Troposphere 5 ! Theatre and film director, musician and radio host. 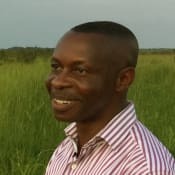 I met Jean-Patrice Keka in 2014 while reporting a radio piece for the Swiss broadcaster RTS. I was quickly struck by his humanity and positive philosophy, by the extent of his scientific knowledge and his extraordinary pragmatism. He puts his knowledge into practice in a country with very limited technical resources. Mathematician and engineer. I studied at the faculty of science of the University of Kinshasa. I'm the CEO of Développement Tous Azimuts, a company active in all fields where engineering skills are required. When ones think about my country, one dreams of all the wealth that lies beneath our feet. I dream of giving back the treasures from the skies that will allow us to look higher and go further. 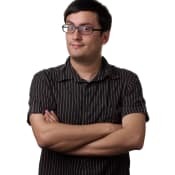 Producer and director of documentary films within the Climage collective, I'm an aviation and space conquest enthusiast. The Troposphere adventure is a magnificent story. A tale, a fable, a utopia that, thanks to you, may become reality.